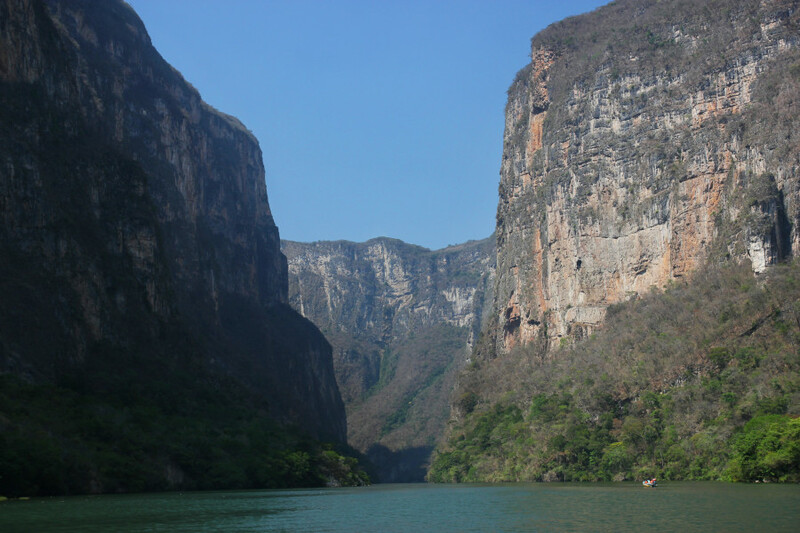 Took a break from being sick long enough to jump on a boat through the 800m high walls of Sumidero Canyon, complete with crocs, vultures, and the local "Christmas Tree" (a moss-covered dry waterfall). Also passed 3000 miles. We're kinda a big deal.